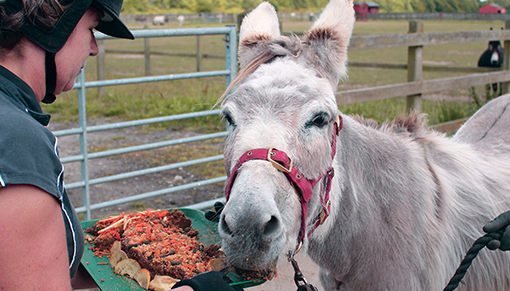 We’re wishing a happy retirement to one of our most cherished residents – cheeky donkey Denise – who is stepping down from the Redwings Adoption Scheme. While Denise will no longer be available for new adopters, she will continue to keep in touch with her existing sponsors and her supporters are still welcome to visit her at her home at Redwings Caldecott, in Norfolk when the centre is open every Friday, Saturday, Sunday and Monday. Denise was just a week old foal when she arrived at Redwings in 1996, after her mum, Poppet, developed mastitis (an inflammation of the mammary gland), and was unable to produce milk to feed Denise. 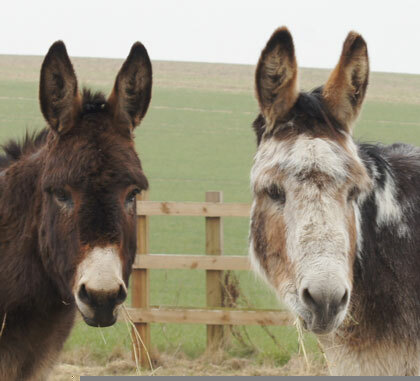 In fact, Denise was so small that she travelled to the Sanctuary in the back of a car while Poppet followed behind in a horse box. 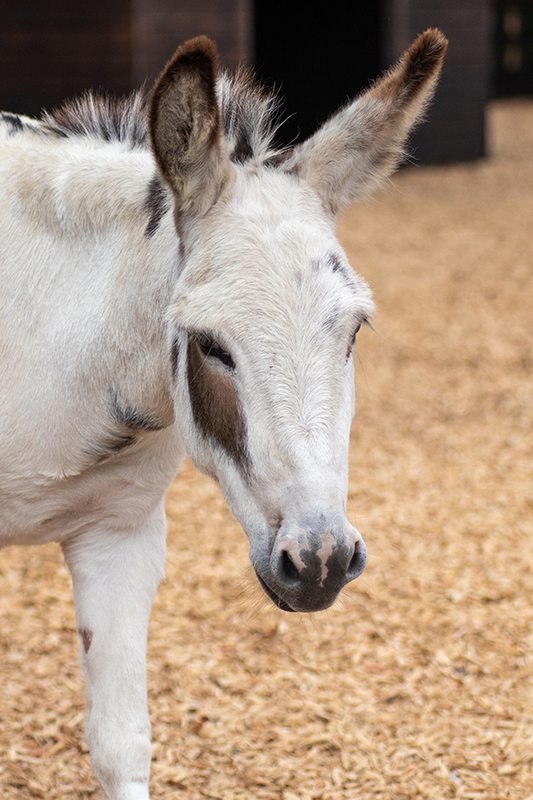 With round-the-clock care and bottle-feeding morning, noon and night, she flourished into a happy and healthy donkey and - combined with her cheeky and mischievous nature - she quickly became a popular member of the Adoption Scheme. 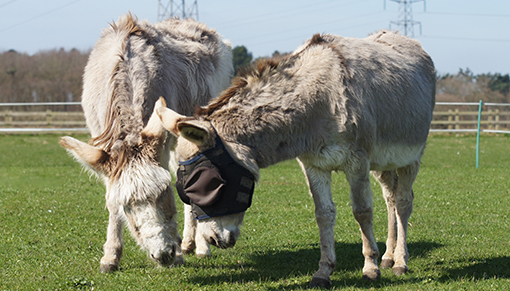 Sadly, Denise has been diagnosed with Cushing's disease or PPID, a common condition affecting the pituitary gland in older equines, which has caused some complications with her health. While the symptoms of Cushing's can often be controlled with medication, Denise has been struggling to maintain her weight and requires careful dietary management for poor teeth. We therefore think she will benefit from a slower pace of life through retiring her from Adoption Star duties. She was due to celebrate her 22nd birthday with a party at Redwings Caldecott on Sunday 2nd September, but following the advice of our vets we felt it best to cancel her party and keep a watchful eye over her while she enjoyed the quiet of her paddock instead. Lynn Cutress, Redwings Chief Executive, said: “With her friendly, but mischievous nature, Denise has been delighting her supporters for over 20 years. 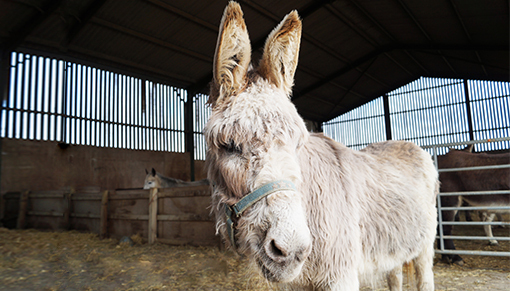 As a long-serving Adoption Star she has given so much back to Redwings, raising money not only for her own care, but for hundreds of other rescued residents within the Sanctuary. Sponsoring a Redwings Adoption Star costs just £15 per year. Adopters receive updates and photographers from their Adoption Star, as well as access to their online blog and will even receive an invitation to their birthday party! For more information or to sponsor an Adoption Star, click here.